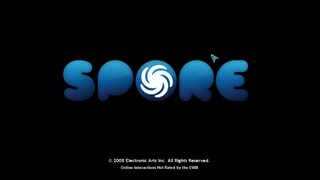 Spore is a 2008 game in the E.V.O. : Search for Eden vein where players guide their protege protozoan through all the stages of evolution until spacebound journeys stretch their civilizations into the galactic core where they fight the Borg to obtain a win-condition macguffin. The player is at a liberty to sojourn in any stage for as long as preferred and may directly influence their race's biology, making the game ideal for tinkering with. Runs in the NG category have to forfeit using wormholes in the Space stage. Space stage ILs don't have difficulty categories. Best Single-segment, Easy Difficulty Time: 0:52:50 by 'rowrow_' on 2015-09-28. Best Single-segment, Hard Difficulty Time: 1:03:21 by 'KinglyValence' on 2018-01-11.
extra DNA, which in turn grants an early flagella purchase. Good meat RNG allows continuous fluid movement while feeding. first mating, which allow faster traveling. plants in Tribal Stage to make food collecting faster and easier. pre-migrate segment at the start. 2-deep nest, as opposed to 2 adjacent nests. hunting the remainder of the stage. before or shortly after every migration to optimize migration timing. [-75], and 3 gifts [-30]) until all tribes spawn. Attach Gathering 3 Hat and Social 3 Hat in costumes prior to farming. while adding new instruments along the way. tribe member delivers the gift depending on your multi-tasking. switching to invested vehicles with no speed for converting cities. same tactic for the next 3 cities. Fanatical Uprising which auto-wins the Civilization Stage Religiously. because there is infinite energy during this mission. generator to speed up the terraforming process. Small Energy Storage and Small Energy Packs. sell all the buildings of 3-4 cities (1-1.5 million sporebucks). Energy Packs from alien empires (7-10 for safety measures). potential dead-ends and to activate Energy Packs. Welcome to my Spore run! This is a full game run from the beginning of Cell Stage to the Center of the Galaxy on Hard difficulty. This run is considered NG or "New Game." Spore is a unique game where playing through the game once will impact future and subsequent play throughs of the game. This run is NG because it is what anyone could see on their very first time playing the game without any extra influence from other play throughs. To keep a run NG there are only Maxis made creations (no custom ones) in the game at start. And there is no help from other saved games in the space stage. Every game in the Space Stage shares the same galaxy/play area, so anything done in one game will influence and potentially help later play throughs. For this speed run, there is no help from any other games. Also, there is no use of wormholes in the Space Stage, since they are not the same for everyone, so to keep it fair they are not used here. Spore is cool in that what you do in the game will help you later, referred to the game as consequence abilities. (This is unrelated to NG or NG+, this happens within a game not before a run). So, this run aims to become a Zealot in Space Stage, this gives the player a really helpful ability to take over a planet and make a lot of money very quickly, which is very important to the speed run. To become a zealot your game but end two stage in the "Red" areas in your Creature’s history and two stage in the "Green" area. To accomplish this, I chose to be a carnivore in Cell Stage (Red), Predator in Creature Stage (Red), Friendly in Tribal (Green), and Religious in Civ (Green). Routing becomes very important in Tribal Stage. Tribal is very difficult because this run attempts to be Friendly but all the other rival tribes are hostile towards the player. Gifting other tribes is the best way to make them like you, however they will revert to their angry ways very quickly and then will attack your tribe. To keep them happy, only befriending other tribes and not allying them completely. Once the player allies a tribe, more spawn, and becomes over whelming. But just befriending prevents them from becoming hostile again and lets the runner control when another tribes spawn in. On Hard difficulty, more tribe members are required to perform and the tribal chieftain is always required to be present for each performance so the tribe cannot be split between tribes to ally simultaneously so strategizing when to send the entire tribe is imperative. Civilization stage is a delicate balance between being aggressive and knowing when to wait. Civ as an RTS game is fairly basic but can become overwhelming quickly. The strategy here is to gain 6 cities which unlocks the ability to basically nuke the rest of the world and conquer the planet given enough resources. Space Stage in this run heavily depends on becoming a zealot to gain money quickly. In the beginning of the stage there is a required mission the player must do, and since the game thinks the player is very inexperienced at this point, the space ship will not use any energy to move to another system, in this mission only. This can be used to gain the Frequent Flyer 3 badge which unlocks larger jumps later. Taking over a planet with the Fanatical Frenzy Super power gains the player control of the planet. A home planet of another empire is taken over to sell enough buildings to make enough money to buy everything needed to reach the Center of the Galaxy! The final drive through the Grox Empire is not too difficult but requires quick jumps as the pursuing ships can shoot the ship down. And being on Hard, it will not take very much to bring the ship down. I hope you enjoy! This run was completed 11 January 2018, and was very good for the time, but recent developments show this might be possible to go under an hour with some work! And that run will be posted on SDA as soon as it happens! Welcome to this run of Cell Stage in 3:22 on Easy Difficulty completed 31 October 2018. Cell Stage is one of the most fun and straight forward speed runs in Spore. Cell Stage is also one of the more RNG dependent Stages in Spore but with enough practice, proper decision making, and pattern recognition, quick runs are fairly consistent when following an intended strategy. SDA Timing begins at movement control (when the HUD appears after the opening cut scene) and ends at the ‘Growing a Brain’ cutscene (HUD disappears). Exclude the loading times during the all black screens when entering and exiting the Cell Editor. There are four loads in this run. In the early stages of the level, more plant pieces are available so starting as herbivore is recommended. Keeping tutorials on, the game shows the player the objective to eat five food pieces to move on and will receive a bonus after completion; this bonus is not as rewarding with tutorials off. Calling a mate when growing to the next section of the Stage will always spawn the mate close by for quick access into the cell editor. On Easy becoming an omnivore is the key and is more important than adding speed to the cell. Rearranging the mouths to the positions in this run is preferential but found to be slightly easier to eat the food pieces that correspond to the respected mouths. The majority of the run is now pattern recognition, quick decision making, and gauging decisions to maintain the movement speed. Minimizing returns to the cell editor is crucial for keeping time down, think similar to pit stops in automotive sports. After reaching 30 DNA points and mating at a growth point is worth adding in two flagella to give more speed to the cell as the run concludes. Important to note that free floating plants and meat gain more level progression than plants that are attached to larger structures and significantly smaller cells. Welcome to this run of Creature Stage in 10:58 on Easy difficulty completed 19 August 2018. The selected creature used in this run has no History, as to have no Creature Abilities unlocked and no other advantages that would have unlocked during a separate Stage of the game. The selected creature is a carnivore and is a custom-made creature from the Early Creature editor. All other creations present in the run are default, Maxis made. The selected creature has Cilia for jumping, Jet for sprinting, and a joint of the legs disconnected to act as make shift arms to put on hands more quickly. SDA Timing begins at movement control (when the HUD appears after the opening cut scene) and ends at the final ‘Growing a Brain’ cutscene (HUD disappears). Exclude the loading times during the all black screens when entering and exiting the Creature Editor. There are six loads in this run. The majority of this run is combat except for the very beginning. The creatures encountered in early stages of Creature Stage only have level 1 sing and are most likely neutral. Allying creatures that are neutral yields more DNA points than to extinct them. Ally creatures by copying their actions to fill the overhead bar. Jump to fill our side of the bar instantly. Allying or killing Alphas yield more points than the regular creatures or babies. Alphas always have the most health and are designated by a gold star in a pentagon by their name. Ally the second nest as well to evolve into the next level of Creature Stage. Locate a mate by performing a mating call then select the mate the home nest. While looking away and having the mate selected, jump to instantly enter the editor. Outfit the creature for combat by adding the ‘D’Orca’ mouth, ‘Grubbygrabber’ hands, ‘Cloppity’ feet, ‘Hockitlauncher’ weapon, and the ‘Antisoptera’ wings as these will provide all level 2 combat abilities and extra movement speed. Add a member of our nest into our pack by the same action as allying another creature. Extinct the first nest by killing four creatures from it. Target the alphas first as this will yield the most DNA points and unlock new parts for later in the Stage. Cover a lot of distance quickly using a glitch with the wings. While the game is paused, select either a very close creature or a very far away creature, jump twice, then resume. Our creature should be launched toward the selected creature. Keep to nests that have 15 and 19 health creatures, these are level 2 creatures and will provide the correct parts to unlock. Our creature is not strong enough to take on creatures with 32 health. Extinct three nests and one additional alpha to evolve into the next Creature Stage level and this will ready the first migration sequence. Enter into the creature editor again and replace all parts added last time with the upgraded level 3 versions, except for the wings. Again, add a creature to our pack and now our creature can fight creatures with 32 health. Select a creature to bring up its Sporepedia card to gauge whether or not this creature is good to attack. If the creature has too high attack points, greater than 10 or so, avoid this nest and move on to the next one. Our creature can die even on Easy if the creatures are too powerful. Follow the mini map to find our next nest from the migration sequence and extinct creatures along the way. There are two scripted events in the Creature Stage, first is the meteor that will make all other creatures panic and be too frightened to fight back for around 30 seconds. Take advantage of this time to kill larger creatures if necessary. Creatures that begin angry towards our creature yield higher rewards for killing but are usually harder to extinct. Reach the next nest once the progress bar passes the second notch into the final level of Creature Stage. Entering the editor now will initiate the second and final migration sequence. Entering too early and the migration will not be ready yet and reentering the editor will be required. Reaching each migration nest when prompted is beneficial because it will yield a large amount of DNA points. Upgrade all parts to level four or higher if available and add a third member to the pack. The creature will be fully upgraded enough to complete the Stage. The second scripted event is a UFO sighting which also frightens nearby creatures and allows for easy killing of tough creatures. These scripted events also prevent adding to our packs and mating. Only our creature and the pack will be able to continue as normal. Continue killing creatures to fill the progress bar and complete the Creature Stage. Welcome to this run of Tribal Stage in 8:14 on Easy difficulty completed 18 October 2018. The selected creature in this run has no History, as to have no Chieftain Abilities unlocked and no other advantages that would have unlocked during a separate Stage of the game. The selected creature is an omnivore and has been outfitted with Tribal Equipment to have the maximum Social, Gathering, and Combat capabilities. All other creations present in the run are default, Maxis made. Timing for Tribal Stage beings at control (when the HUD appears after the opening cut scene) and ends at the final tribal celebration cut scene (HUD disappears). Immediately on the start a baby is born and the tribe members gather nearby food. The babies require 45 seconds before they mature and act as normal tribe members, until then they are defenseless and cannot perform tasks. Open the Tribal Planner to view new buildings available. When looking at a new building for the first time, the game presents a gold star around the buildings indicating it is new. While this animation is going, we can not select the building. Entering and exiting the planner quickly will remove the new building animation for next time. The game is paused when in the planner so exiting it quickly is important. The tribal Chieftain is always the fastest at gathering and is able gather a second time before the other two tribe members return. Continue spawning babies as food is delivered until all 6 tribe slots are full then buy the first instrument. This run will perform and ally the other rival tribes because it is found to be the most optimal. One non-Chieftain member collects an instrument as the other gathers. The Tribal Chieftain is required for all performances and does not have an instrument. Other members must have an instrument to perform and can only hold one at a time. The first tribe is able to allied with the Chieftain and only one other member. After filling each bar during each performance, with the performing members selected, move the performers anywhere to cancel an animation and initiate the performance again. After allying the first tribe send everyone to continue to gather and spawn in babies until there are eight total members, this will be enough to finish the stage. Wait until the Chieftain returns and buy the next instrument. Two tribal members of each instrument are required to ally the next tribes on Easy difficulty. Most rival tribes are angry with ours, but gifts of 10 food points can make them ambivalent and able to accept a performance. Determine the most efficient order of tribes to ally and perform for the next tribe. After allying the second tribe, the third instrument has a chance of being available. In this run, the digeridoos did not become available yet so the same band of tribal members will perform for the next tribe as well. Leaving the remaining three members to focus on gathering will provide plenty of funds to buy the remaining instrument and be ready in time for the fourth tribe. Gather the remaining members at our tribe to ready them to receive their instrument. After allying the third tribe, the third instrument will be available if it was not before. All three members need instruments and two of them will accompany the Chieftain and others at the fourth tribe. The final member, with instrument in hand, will travel to the final tribe to gift them. The final tribe will always be angry with our tribe. The final member should reach and gift the final tribe before the performers have completed allying the fourth tribe. Keep this member at the final tribe and wait for the others to join. Ally the final tribe to complete the Stage. During this stage, five members were born, three instruments were bought, and three tribes were gifted for a total of 155 food points required to complete the stage. Welcome to this run of Civilization Stage in 3:43 on Easy difficulty completed 3 November 2018. The selected creature used in this run has no History, as to have no Super Weapons unlocked and no other advantages that would have unlocked during a separate Stage of the game. The empire’s specialty is religious and will be using four custom vehicles though out the run. One tank and one boat are dedicated to speed while another tank and boat are dedicated to religious power. All other creations present in the run are default, Maxis made. There are fifteen different natural planet configurations in Spore. However, the planet used in this run has been found to be the most optimal for Civilization Stage due to there being 6 Spice Geysers present on the starting continent and 5 Spice Geysers in the oceans all surrounding the continent. Timing for Civilization Stage begins at control (when the HUD appears after the opening cut scene) and ends when the progress bar becomes blue arrows, allowing to the progression to Space Stage. Empires begin spawning very quickly. However, on Easy the player’s empire is given a very large time advantage to gather resources and develop before rival cities appear. Other cities will spawn in after a certain number of actions performed by the player, allowing for the claiming of 9 Spice Geysers and the building of at least three vehicles. On the start, a second vehicle is built to assist in capturing Geysers as well as one boat. Use ‘Backspace’ on the keyboard to jump back instantly to the city. The route the tanks take is very specific due to the limited starting resources provided. The first tank will take the three left most land Geysers, the second tank will take the right most and end at the furthest south Geyser. The boat will be able to capture four of the closest Geysers. The first rival city spawn is predicted and the first tank as well as three new tanks gather to capture the city as it is founded. As soon as the tanks have gathered close enough, they are swapped out from fast tanks to slow tanks that have high religious power. Four tanks with high power are the minimum to capture a small city efficiently. There is a limit to the number of units the player can command at any point, calculated by the number controlled of cities and houses within the cities. After the first capture, 8 vehicles are allotted and all 8 spots will be used. As the religious vehicles are capturing, one of the vehicles will be taking damage. This damaged tank as well as the second tank built are deleted to make room for fresh new tanks. The tanks are converted back into fast land vehicles and a new fourth tank is built and this squad is sent to the next small city. The remining four slots are used as well. Three new boats are built and are sent along with the starting boat to a location where cities will spawn after the capturing of a second city. After the capturing of the second city the boats are already in position to capture the next city. More tanks are built to aid in the capturing of the final city on the starting continent. The boats capture their first city and more to the next city nearby. These boats will only capture two cities before all being sold. Once the tanks finish their city for the fourth capture, they are sold to free up unit slots and are rebuilt on the first new continent and are sent to the nearest city. The boats complete their task and are sold. New tanks on the second new continent are build and sent the nearest city. When changing the tanks from either high power or high speed, this changes all tanks on the planet so over lapping when tanks are needed to all be fast or all capturing at the same time is important. Four tanks with high power can capture a small city but seven tanks with high speed but low power can still make quick work of a small city too. The tanks from the sixth capture finish while tanks on the third continent were ordered to capture their city. All tanks remain fast until the units on the second continent reach their final city. Now all tanks are converted into high power to quickly make the seventh and eighth captures. Once there is only one city remaining, the final city will surrender. The surrender is random when it occurs, and can range from two to ten seconds. Fortunately, a fast surrender occurred and timing ends after the acceptance of the surrender and the progress bar at the bottom becomes blue arrows. Welcome to this run of Space Stage in 4:24 on Easy difficulty completed 18 October 2018. The selected creature in this run has no History, as to have no archetype or other advantages that would have been unlocked during a separate Stage of the game. All creations present in this run are default, Maxis made and are all chosen at random. Selecting any different Maxis creation will have no impact on the speed run. There are 206 different starting locations for a new game in Spore though out the galaxy. The location used in this run has been found to be the most optimal for Space Stage. There are two different runs for Space Stage as an Individual Level, referred to as NG “New Game” or NG+ “New Game Plus,” common speed running terminology. This run is considered NG with no plus. Spore is an interesting game in that the galaxy itself is the same for all saved games. This means other locally saved games can interact with previously saved or new games of Spore. Massive advantages are possible when using another saved game to help the speed run. Also, Spore features wormholes which can provide quick travel to different parts of the galaxy. However, the connections between the wormholes are different per installation of Spore. To keep this run on an even playing field and to only have what any new player could do on their very first playthrough, this galaxy has never had a saved Space game to ensure that there is no interaction between saves, and no wormholes will be used. Timing for Space Stage begins at control (when the HUD appears after the opening cut scene) and ends at the Center of the Galaxy cut scene (HUD disappears). Space is timed using IGT ‘In Game Time’ due to the random lengths of loads when enter and exiting planets. Exclude these loading times designated by when the mouse cursor turns into a galaxy. There are five loads in this run. Immediately as the Stage begins, hot key ‘Y’ is used to bring up the communication panel between the player and the local planet. The game wants the player to go through a tutorial to learn how to fly the space ship. However, we decline to leave the planet. The first required mission of Space Stage has the player go to another planet in the solar system and discover a crashed space ship. Quickly spamming the scanning tool is faster than holding the scanning tool on the crashed ship. The player’s ship is now equipped with the Interstellar Dive 1 it retrieved from the crashed ship and is now able to leave the star system. This required mission now wants the player to go to a nearby star system to intestate why the ship was destroyed. However, this mission does not take any fuel to travel between stars. Progression in Space Stage is all about performing missions and collecting badges. The Frequent Flyer badge is responsible for unlocking Interstellar Drives, which allows for longer distance space travel. Frequent Flyer badges are unlocked when travelling to enough stars, so we travel back and forth until the Frequent Flyer 2 is unlocked, then travel into the star system. Travel to the correct planet and scan the destroyed buildings just like the crashed space ship. Return to our home world to finish the required mission. When starting Space Stage as an individual level, the home world starts with 10 Spice (the game’s main trading commodity), however when advancing into Space from a previous Stage the home world will not begin with 10 Spice. The full game route will be different than the individual level. The spice is collected and we are now able to travel freely in the galaxy. Every action, empire, and order of operation is very important from here to the end of the Stage. In this run we will spend around 164,000 Spore Bucks, “Spucks.” Space begins with 100,000 Spucks so selling these 10 spices must be at least 64,000 Spucks in order to complete the run. The amount that spice sells for is random and is the only RNG in the entirety of the Space Stage but more often than not, selling will be successful. If the first empire does not sell for enough, there is a second chance. Hold off on selling until reaching the second empire. During the visit to the first empire, we refuel, buy Interstellar Drive 2, and begin a trade route. This can all be done with the initial starting amount of money. The trade route is very important and finding an empire that is already Friendly towards our empire is too. Only empires that are Friendly will accept a trade route for free, which is the fastest. Most empires are in the same location per installation of Spore and this empire and the other empires contacted in this run should be present for anyone else playing Spore. After closing communication with this empire, driving deliberately is key. The player’s ship only has 20 jumps of fuel with no way of refueling until the next empire. If the ship runs out of fuel, the ship will take damage and move very slowly. Once reaching the second empire, which must be friendly as well, begin a trade route then immediately close and reopen the communication panel. Establishing two trade routes will unlock us the Trader 1 badge, which unlocks the ability to buy Energy Packs. Refuel, sell spice if necessary, then buy all five Energy Packs. This run was done on the newest version of Spore, and on earlier versions only one Energy Pack is available to buy at a time and this route will not work. A newer version of Spore is required for this route. Now we travel to the final Empire equipped with energy packs. The next empire again must be Friendly, not for another trade route, but because the friendlier an empire is to the player the cheaper refueling costs will be. Also, not all Empires sell Energy Packs, but all friendly Empires will. In this route two Energy Packs were consumed to reach the final Empire. When communicating with the final Empire, order of operations is very important. First refuel and buy five more Energy Packs, then close the communication panel. We will earn the Traveler 1 badge. This badge does not unlock anything, however earning a badge will restore the local planet’s inventory so we can buy a second order of five Energy Packs. Finally, the drive to the Center of the Galaxy, and here is the reason why where we started is the most optimal. We only have Interstellar Drive 2, which means we can only travel to other stars within the yellow circle. Not all the stars in the galaxy are evenly spaced and in fact with only Interstellar Drive 2, it is impossible to reach the center of the galaxy from two of the five arms of the galaxy. And the other two arms that are possible to reach the center that are not used here are far more circuitous in order to reach the center. The arm used in this run is the most direct path to the center of the galaxy. Continue driving until reaching the Grox territory. Use Energy Packs by pressing ‘Control’ and ‘1’ on the key board to continuously clicking on stars and refueling. Skip both cut scenes waning about enemy territory and the Interstellar Drive range shrinking. This is another reason why only Interstellar Drive 2 is used, because the range shrinks to minimum anyway. Driving through the Grox is not difficult but does take some practice. If the Grox’s pursuing ships shoot our ship it will travel very slowly, so quick travelling and refueling often is key. Continue driving to the Center of the Galaxy and click on the Galactic Core to initiate the cut scene. Welcome to this run of Space Stage NG+ in 3:23 on Easy difficulty completed 26 October 2018. The selected creature in this run has no History, as to have no archetype or other advantages that would have been unlocked during a separate Stage of the game. This run uses a custom space ship present but has no impact on the speed run. All other creations present in the run are default, Maxis made. There are two different runs for Space Stage as an Individual Level, referred to as NG “New Game” or NG+ “New Game Plus,” common speed running terminology. This run is considered NG+ due to using other locally saved Space games to help and assist the speed run. In this galaxy there is another saved Space game that has made Spice, the common trading commodity of Space Stage, and has dropped some onto a planet this run will encounter. This is something that must be performed ahead of playing the speed run and not something that all players have access to without manually doing it themselves. Also, Spore features wormholes which can provide quick travel to different parts of the galaxy. However, the connections between the wormholes are different per installation of Spore. NG+ allows for the use of wormholes and it is for these reasons, this run is separated from NG. Timing for Space Stage begins at control (when the HUD appears after the opening cut scene) and ends at the Center of the Galaxy cut scene (HUD disappears). Space is timed using IGT ‘In Game Time’ due to the random lengths of loads when enter and exiting planets. Exclude these loading times designated by when the mouse cursor turns into a galaxy. There are five loads in this run. Immediately as the Stage begins, hot key ‘Y’ is used to bring up the communication panel between the player and the local planet. The game wants the player to go through a tutorial to learn how to fly the space ship. However, we decline to leave the planet. The first required mission of Space Stage has the player go to another planet in the solar system and discover a crashed space ship. The spice present on this planet is the spice dropped off by another save in the galaxy. This spice will be used to make an incredible amount of money to reach the center quickly. Quickly spamming the scanning tool on the crashed ship is faster than holding the scanning tool. The player’s ship is now equipped with the Interstellar Dive 1 it retrieved from the crashed ship and is now able to leave the star system. This required mission now wants the player to go to a nearby star system to intestate why the ship was destroyed. However, this mission does not take any fuel to travel between stars. Progression in Space Stage is all about performing missions and collecting badges. The Frequent Flyer badge is responsible for unlocking Interstellar Drives, which allows for longer distance space travel. Frequent Flyer also unlocks the Wormhole Key, which is required to use wormholes. Frequent Flyer badges are unlocked when travelling to enough stars, so we travel back and forth until the Frequent Flyer 3 is unlocked, then travel into the star system. Travel to the correct planet and scan the destroyed buildings just like the crashed space ship. Return to our home world to finish the required mission. Bring up the communication panel with our home world and sell the gathered spice. We will spend 3,150,000 Spore Bucks, “Spucks” in this run to buy the Wormhole Key and Interstellar Drive 2. The amount that spice sells for is random and is the only RNG in the entirety of the Space Stage but more often than not, selling will be successful. Close communication and head to the prepared wormhole. All wormhole connections are different per galaxy. It is possible to reroll your galaxy and get new wormhole connections by deleting the “Spore” file located in the AppData folder on your computer. Make sure to make backups of all your files! This galaxy was rerolled until a convenient wormhole connected to this particular wormhole exit as it is the closest wormhole to the center of the galaxy and required for this route. Once exiting the wormhole, driving deliberately is key. The player’s ship only has 20 jumps of fuel with no way of refueling until the Galactic Core. If the ship runs out of fuel, the ship will take damage and move very slowly. Near the center of the galaxy the range we can travel to stars is back to minimum, which is why we do not buy Interstellar 3 even if it is available. Earning Frequent Flyer 3 was solely to unlock the Wormhole Key. Driving through the Grox is not difficult but does take some practice. If the Grox’s pursuing ships shoot our ship it will travel very slowly, so travelling quickly is key. Continue driving to the Center of the Galaxy and click on the core to initiate the cut scene.